For an incredible 13th time, Audi has won the world’s most prestigious endurance race. It was a hard-fought win, for sure, with little of the total dominance that we’ve come to expect from Audi, who seemed to have inherited the race when the blistering fast no. 7 Toyota of Alex Wurz and Kaz Nakajima fell to electrical issues and Mark Webber’s Porsche 919 slowed on the track. Still, this is an endurance race – and to finish first you must first finish, as the no. 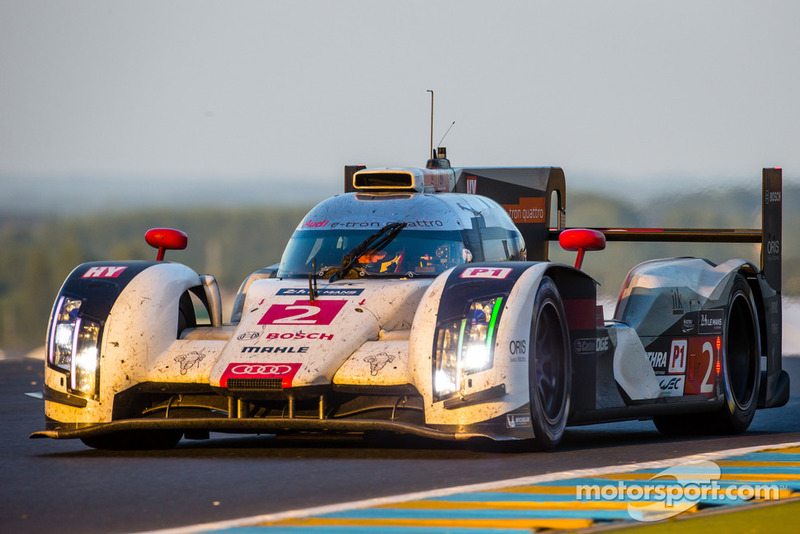 2 Audi (which started from 6th on the grid, yesterday) proved in grand fashion at the Circuit de la Sarthe. Further back in the field, the no. 8 Toyota TS 040 proved just how fast those cars were by crashing out while leading the race in the early hours of its LeMans 2014 adventure, getting re-built in the pits, then clawing and scrapping its way back to finish a convincing third overall. (!) Meanwhile, the Nissan contingent continued to dominate the LMP2 category, sweeping the top 5 spots in that class and, here and there, setting lap times faster than the Rebellion Racing Toyota LMP1 car, which finished 4th. If you’re a GT fan (like DeMorro) you’ll notice that one of the 458 Ferraris upset the Natural Order of Things by proving to be a reliable machine over 24 hours, finishing ahead of the normally bulletproof Corvettes and Porsches that are the traditional favorites for GT glory. You can see how the race played itself out for the rest of the field, below, and let us know what you thought of the live streaming coverage at the LeMans website in the comments, below. Enjoy! Source | Images: 24h-LeMans, Motorsport.